Senior Abby Rasheed’s favorite song she’s created, “Lunar Letdown,” from her debut album, “Carried Away,” starts slow. A guitar and tambourine can be heard in the background as a saxaphone steals the show, playing a melody that can almost be called mournful. As the drums and Rasheed enter, crooning about a man who “turns his head way too soon” and is always “down by the moon,” while strumming along on her acoustic guitar, you do not know what you are going to hear next—something that you could also say about the rest of the album and Rasheed herself. For Rasheed, who started performing when she was 14 years old, what feels natural can take a while to be heard by others. Songs for “Carried Away” had been in the works long before the album was released. One, a short acoustic ballad titled “Broken Furniture,” was released as a demo in November 2016, nearly two years before the album with its newer version came out. Some of the students heard on “Carried Away” are ones with whom she still plays often. Saxophonist John Longbottom, bassist Massimo Zaru-Roque, electric guitarist Jack Philipoom and congas, shaker and tambourine player Mark Rudnicki are now members of Abby Rasheed and the Sundry Collective, along with Rasheed and Nick Lee, who plays mandolin for the group. All of the musicians on the project are heavily involved in music outside of the group. 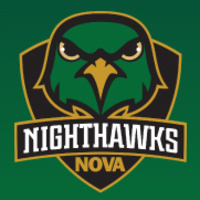 Zaru-Roque is currently the president of Mason Noise, a music tech club on campus and the audio engineer behind “Hawaiian Brothers Forever! Presents: Hawaiian Brothers Together​.​.​. Forever!” a project featuring fellow Sundry Collection members Longbottom and Lee. 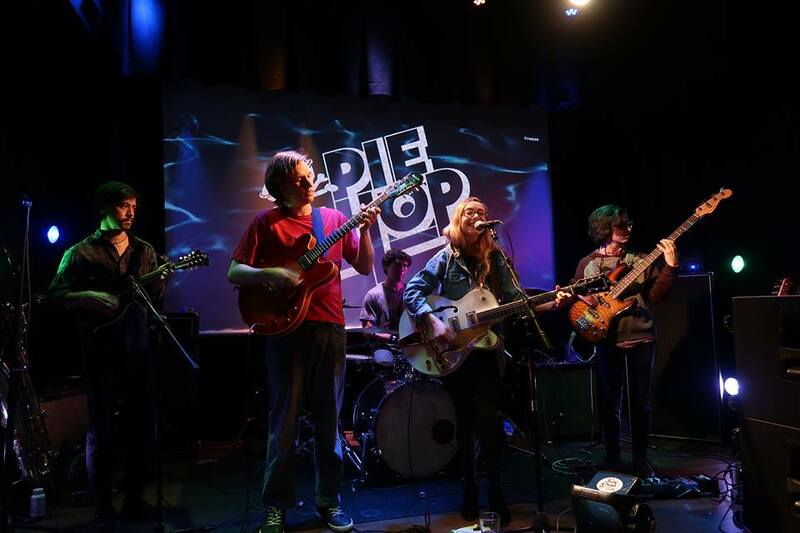 Philipoom plays guitar for a group called Lake Anna, which Longbottom, Lee and the drummer featured on “Carried Away,” Patrick Foult, are all also involved in. Rasheed’s music is in part inspired by both the area that she is from and the area she lives in now. Staunton, Virginia is known for the American Shakespeare Center and Mary Baldwin University, as well as several festivals that are held there during the summer. She grew up there, participating in open mic nights and the local scene, which is where she got her start in music. “And then when I came to college, immediately I searched for a music club, because I knew I wanted to get involved with that, and then I found the Music Productions Club,” Rasheed said. 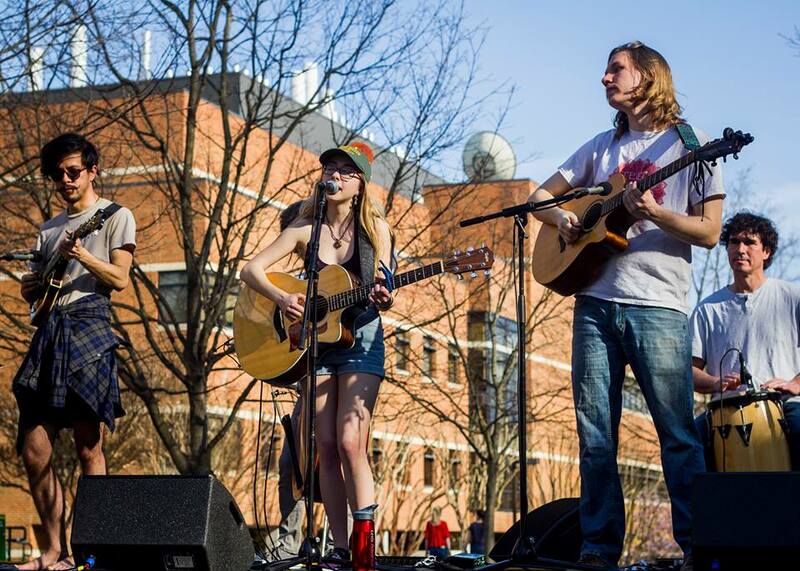 The club provides opportunities for music made at Mason to be heard by a larger audience, including fellow musicians and music enthusiasts. She became its treasurer her second semester, then the president for a couple of years after the one before her graduated. Abby Rasheed and the Sundry Collection have several performances coming up soon. 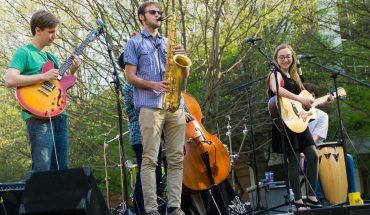 They will be playing Plazapalooza, a music festival at Mason hosted by the Music Productions Club this Friday, April 19, as well as “Hometown Thursday,” a concert where both they and student band Cinema Hearts will be playing. Izz LaMagdeleine is the resident grammar nerd for Fourth Estate. When they are not screaming about the Oxford comma, they can be found writing stories, attending concerts and cuddling their cat, Big Boy.